How digitization can improve Oil & Gas efficiency? Home / How digitization can improve Oil & Gas efficiency? Despite record oil prices and increasing demand for crude, the oil and gas industry will be inhibited in reaching its full potential for value creation unless it can solve its dilemmas regarding human capital and resources. Closing the labor and skills gaps represents one of the industry’s major factor in sustaining growth and maximizing profitability against a tide of rising capital and operating costs. Adapting to this new normal in market fundamentals, companies are taking a hard look at their operating models and asking themselves how they can change to survive. The fundamental driver is simple, leveraging the power of digital technology to transform business operations can deliver real, sustained value to the bottom line. ‘Going Digital’ becoming increasingly necessary as costs are forced downwards and the labour force shrinks, whilst efficiency and production need to rise. So, let’s see how digitizing the O&G gas field can improve its efficiency. What is a Digital Oil Field (DOF) concept and how is it built? Digital oil field is the umbrella term for technology-centric solutions that allow companies to leverage limited resources. 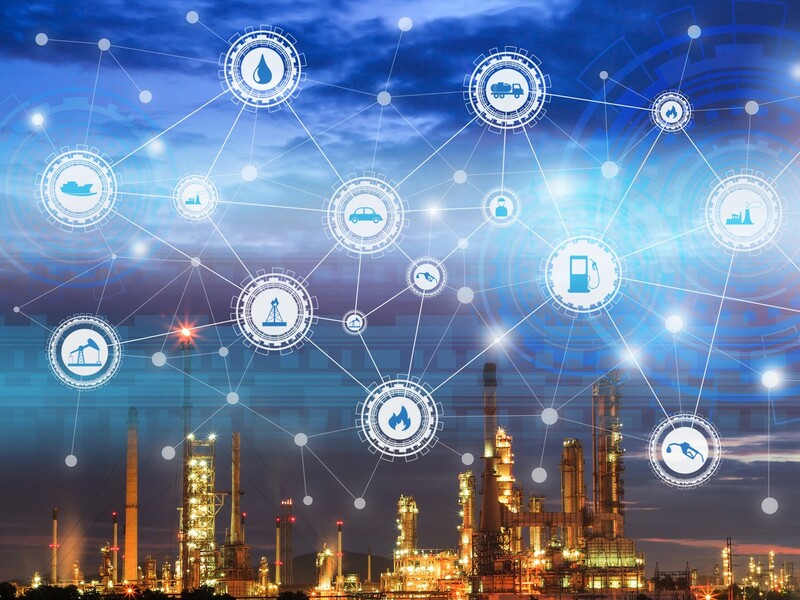 Generally, the digital oil field encompasses both the tools and the processes surrounding data and information management across the entire suite of upstream activities. 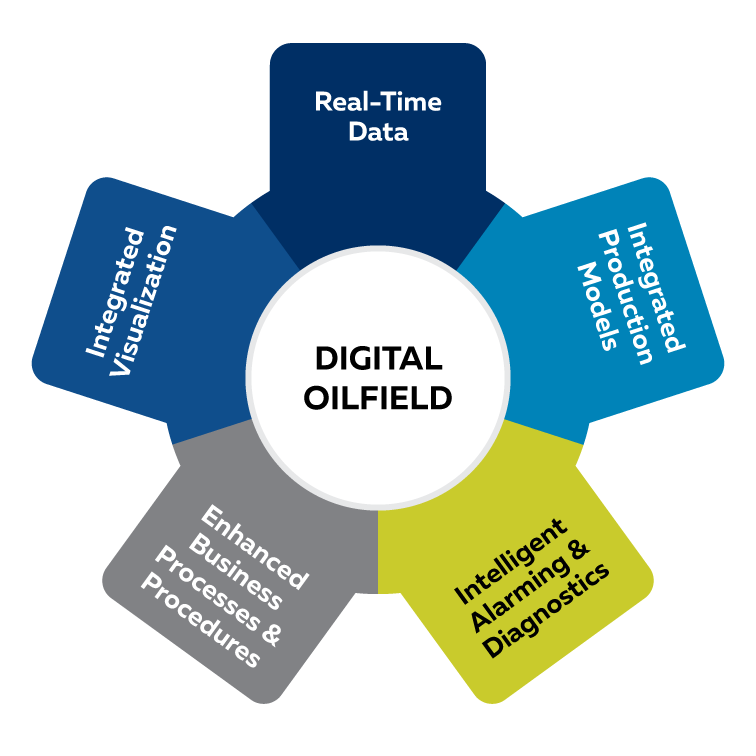 More specifically, digital oil field technologies allow companies to capture more data, with greater frequency, from all parts of the oil and gas value chain and analyse it in real or near-real time. 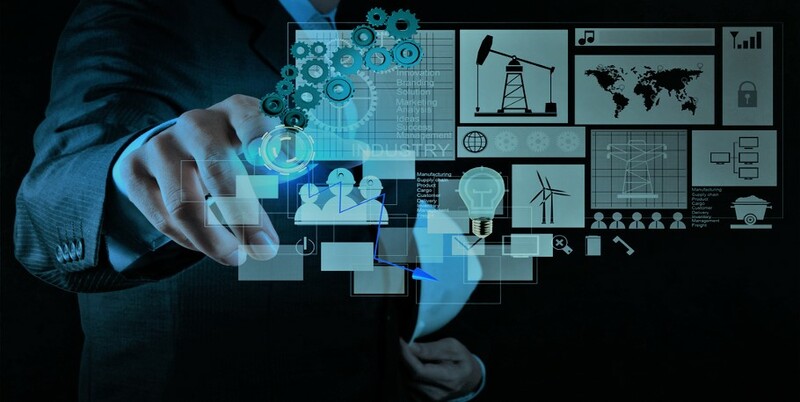 It basically focuses on leveraging the benefits of modern IT, automation, and communications to enhance all the conventional aspects of oil and gas operations, from exploration and production to environmental monitoring and safety. With true digital transformation, opportunities are created to connect disparate operations across organizations, creating a tipping point and delivering real value for the investment. Technological innovation has been a prime driver behind the move in the development of the digital oil field, but it can workproperly only when automated operations are streamlined with new personnel work processes, and a vital component of their success is ensuring that people understand the concept and process, and are well trained and fully committed. How to set up a DOF? Get Connected: Start by connecting critical assets and machines. Connecting operational data to each other and the people who need it are crucial to begin your journey. Get Insights: Use intuitive methods to analyze data to determine true root cause and opportunities to improve or resolve. You have enhanced ability to quickly evaluate anomalies and take the correct action. Get Optimized: Leverage digital to optimize the total lifetime performance of your assets to increase availability, minimize costs, and reduce operational risks. Predictive maintenance and repair: Tracking devices on inventory and asset management applications can connect tool delivery and management to preventive maintenance schedules. Digital finance transformation: Digital solutions can combine mobile, cloud and interfaces to finance systems to achieve live automation of invoicing in the field. Real-time views of back office activities and expenditures can increase accuracy and timeliness in billing releasing work capital. For operators struggling to maximize profitability, especially those tapping costly and risk-intensive deep-water wells, the upfront cost of investing in modern information technologies is becoming an increasingly worthwhile trade-off for safer, more efficient, better-managed operations. How Insight Consultants can help you to go digital? Insight Consultants use technology solutions to many of the emerging Oil& Gas Industry challenges. We address emerging business challenges by aligning people with processes and driving operational excellence with technology solutions. We offer visibility across the enterprise and supply chain so that your personnel can access accurate data, collaborate, and take timely and informed decisions. We have expertise in designing reporting system for better accountability, enterprise collaboration solutions, optimizing operational efficiencies using technology, catalogue your existing digital spend and assets, architecting real-time enterprise etc. 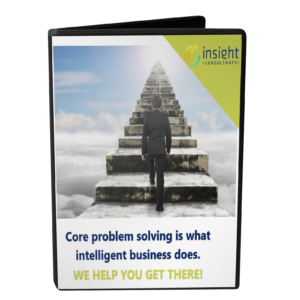 We look at a client’s business problems in a systematic manner that eventually gives both, Insight Consultants and the client, a clear view of what’s required and why, what needs to be done about it, and how its impact on your organization can be measured for success. We help you get a sense of your business, through Radical Rooting, our home-grown approach to help businesses place premium on the future value of a solution or idea before counting costs. We help clients to penetrate new markets seamlessly to increase business growth, drive supply chain visibility and optimize asset management to lower costs, assist in royalty management calculations, leverage analytics, mobile and cloud to become a digital enterprise. We can help you make your O&G enterprises steer ahead of competition by adopting emerging technologies to digitize their entire value chain. Feel free to reach us.